This design is a spoof of the colorful and popular iPod advertising campaign. 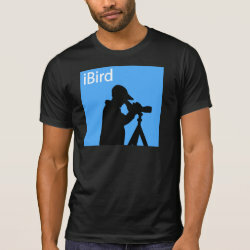 Here the person in silhouette isn't listening to music -- he is More... looking through a scope. 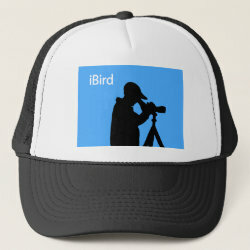 Text in the upper left reads iBird. The background here is blue. 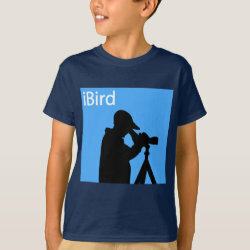 This is a fun trendy design for any fan of birdwatching!